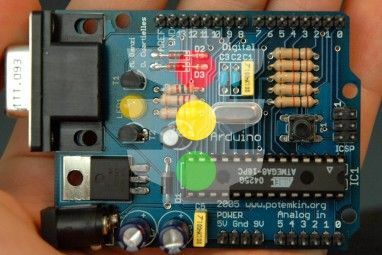 Programming is an activity is that often performed on Linux. And Linux is a great choice for that, as it’s easy to install support for virtually any language you can think of. Programming is simply made easier on Linux. 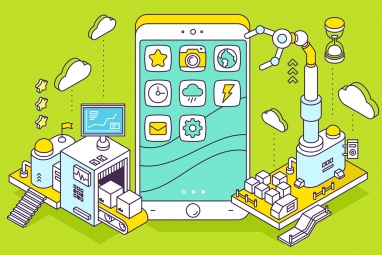 You may think that programmers need nothing more than a terminal to work with, but desktop environments still provide plenty of features that even programmers find difficult to pass up on. Without those features, their productivity wouldn’t be nearly as high as it could be. 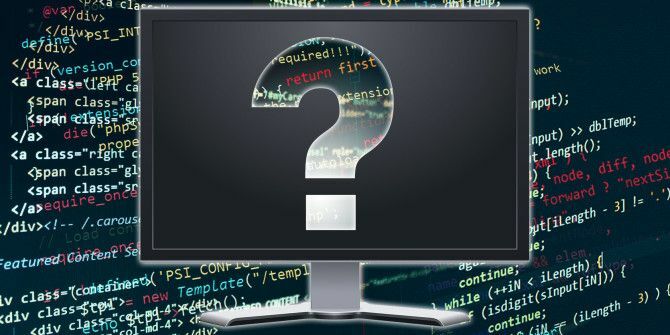 So what’s the best desktop environment out there for programmers? It’s hard to say, and each programmer will have a different opinion. But I’m going to make a choice and explain why I think it’s the best one for programmers. My answer to this question? Gnome Shell. Now here’s why. A good way to become more productive is with virtual desktops. Now I know that just about all desktop environments support virtual desktops, but Gnome Shell is the only one that encourages its use GNOME 3 Beta - Welcome To Your New Linux Desktop GNOME 3 Beta - Welcome To Your New Linux Desktop Read More — so much so that it suggests virtual desktops as a replacement for the minimize button on windows. Of course, you can still get that minimize button back if you want it, but that was the original explanation. Programmers tend to have five windows open in a very short amount of time, and that number will do nothing but grow until they’re done for the day. Not only do virtual desktops let you separate tasks or windows in whatever manner you prefer, but in Gnome Shell the number of virtual desktops is also dynamic. You will always have one empty virtual desktop, and if you put a window in it, it’ll create another virtual desktop. If you close out all windows in a virtual desktop and end up with two, Gnome Shell will automatically remove one. It simply lets you be productive and takes care of all the little details to save you time and effort that could be spent programming instead. Gnome Shell also has a plethora of keyboard shortcuts. 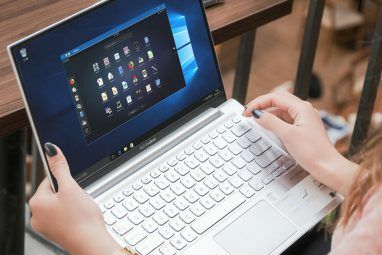 Not only does it have useful ones like Alt + Tab to switch between windows, but it also has plenty of them that relate to—you guessed it—virtual desktops. While the idea of virtual desktops is great, it’s a bit difficult to constantly switch between them graphically because you have to go into the Activities view first. But with keyboard shortcuts, that’s not necessary—you can switch between them with just a press. Extensions have become an important part of Gnome Shell, and they let you tweak the desktop environment Make Gnome Shell Usable With These 12 Extensions Make Gnome Shell Usable With These 12 Extensions Read More so that you’re happy with how it works. Various extensions exist to add functionality, change appearances Top 5 Gnome Shell Themes For You To Install [Linux] Top 5 Gnome Shell Themes For You To Install [Linux] Even since before Gnome Shell's official release, people have been hard at work creating some interesting themes for the new desktop environment. Changing themes in Gnome Shell isn't hard thanks to some nice configuration tools... Read More , or modify some default behaviors. It all depends on what your preferences are as a user or programmer, but with plenty of extensions to choose from, you can make Gnome Shell feel much more like home. It’s also worth noting that a lot of programmer tools, such as my favorite code editors Geany Geany - A Great Lightweight Code Editor For Linux Geany - A Great Lightweight Code Editor For Linux Surprisingly, Linux doesn't offer that many good IDE's (Integrated Development Environments). I believe this is because back in the day most Linux programmers took out good old Notepad (or gedit in this case), and started... Read More and Eclipse use the GTK framework for their UI on Linux. Since Gnome Shell also uses GTK, that means that applications will visually fit in with the rest of the system. The same can’t be said for Qt apps running on GTK desktops or vice versa (although they have been getting better at making them look good in such scenarios). In any case, running GTK applications on Gnome Shell will give you a very consistent experience. Finally, Gnome Shell offers excellent performance. While it’s not as lightweight as LXDE or even Xfce, it behaves very smoothly and animations are quick. It’s also still faster than KDE, both in perceived and real performance. Gnome Shell only starts to act slowly on relatively weak systems like older netbooks, but programmers will most likely be using something that has more performance than that—otherwise it would take forever for software to compile! While there are parts of each desktop environment that I like, I ultimately think that Gnome Shell is simply the best choice for programmers. It’s fast, it’s functional, it looks good, and it encourages productivity. That’s really what I’d look for in a good desktop environment, and it delivers on all of those points. It’s also easily available 3 Reasons Why Gnome Shell Is Better Than Ubuntu's Unity [Opinion] 3 Reasons Why Gnome Shell Is Better Than Ubuntu's Unity [Opinion] There's absolutely no denying the fact that there has been a lot of bickering between people about which desktop environment is the best. The discussion has been expanded and refocused, from not just Gnome vs.... Read More on just about any distribution you’d want to use. If you haven’t used Gnome Shell before, it’s definitely worth checking out and tinkering with. You can even get it on Ubuntu Easily Install Gnome Shell In Ubuntu 11.10 & Newer [Linux] Easily Install Gnome Shell In Ubuntu 11.10 & Newer [Linux] Do you love Ubuntu, but prefer Gnome Shell to Unity? You're not alone, but you're also in luck. Ubuntu 11.10 makes it easy to install Gnome Shell. Not liking where Gnome was heading, the Ubuntu... Read More , despite the default desktop environment being Unity! What’s your favorite desktop environment to program with, and why? Let us know in the comments! Explore more about: Linux Desktop Environment, Programming, Terminal. 3.after learning keyboard shorcuts easy to use. I started with i3 with xfce panel whitch i used to help me get put of a problem. After a week I don't use xfce panel. I will say gnome is good for Linux starter. When You learn Linux commands try to switch to i3. You can make it look good but who cares about look in programming. And ubuntu is so slow, but good for starter. Custum arch i seen the fastest(good for starter if you listen tutorials on youtube). If Gnome is the best for programming, why there are so many tiling window managers made by programmers for programmers? This article just sounds like Gnome marketing. GTK Apps look consistent in KDE4 onward because KDE can manage GTK theming and colors to align them with your KDE settings.